Mollino had an eclectic character, capable of unifying various forms of expression through brilliant artistic research. His career was highly diversified, covering architecture and town-planning. He designed a wide variety of furniture and interiors, fashion, and sets for theater film. He loved writing, photography, skiing, stunt flying, and car racing. Mollino, was a student of the occult, and loved life so much that he wanted to replicate every aspect of it and carry it to the kingdom of the dead. He learned that ancient Egyptians decorated their future tombs, and that’s what Mollino did with his 18th century apartment. in 1960, in the hills above Turin, the city he lived in all his life, Mollino acquired a two-story villa (“Villa Zaira”, today called “Casa Mollino”). In his spare time he decorated the interiors as if the apartment should become his own future tomb. 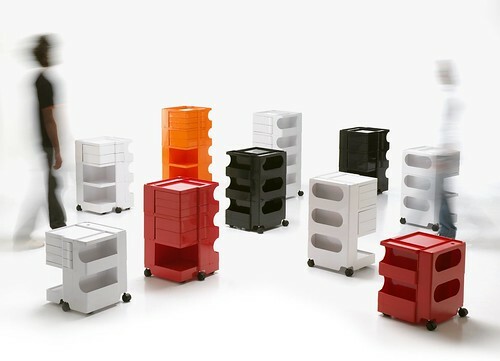 The furniture that Mollino designed were often one-off pieces produced specifically for the client whose house he was decorating, so many of his existing examples of his work are rare today. Fortunately, Italian manufacturer Zanotta has revived a few of Mollini’s pieces including the Cavour desk and Arabesco and Reale tables, and Gilda Armchair. The Cavour has a .47″ thick plate glass top with frame and drawers available in a choice of bleached oak or wenge-stained oak for a cool $11,536 from Unica Home. Chalk it up as one of those dream pieces that, for most of us, will probably remain a dream. Unica also offers a book on Mollino’s furniture work. And finally, download the April 2008 edition of the Zanotta newsletter for an article on the reconstruction of Mollino’s gorgeous Casa Capriata, one of the first examples of prefab architecture. 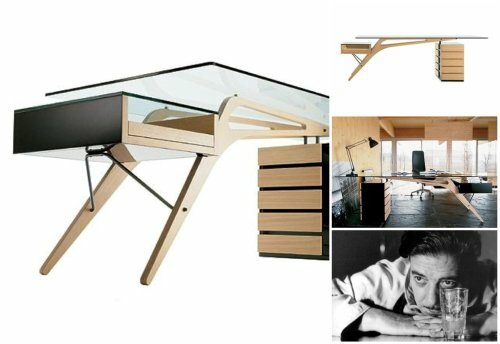 The Reale table, “an homage to Mollino” from 1946. Bevel edged plate glass top. Frame in varnished cherry-wood. 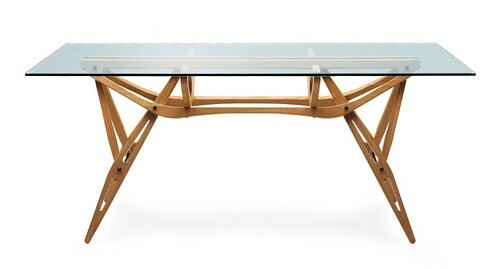 Also available in bleached, wenge-stained, or in walnut-dyed oak or painted with an open pore black finish. There is a deeply discounted Reale on eBay right now. $3,950.00 from New York. 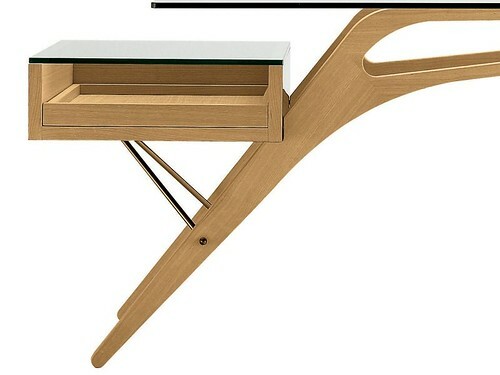 alora… the Cavour desk is possibly the sexiest desk ever made. it actually wouldn’t be too difficult to make one yourself. the Phaidon Mollino furniture book has some good working drawings of it. i saw these pieces and practically all of Mollino’s work at the major retrospective they did in Torino a few years ago. they also reconstructed the Bisiluro racecar he designed. it is unbelievably beautiful. Thanks, Chut. Here’s another view and another few views of the Bisiluro.